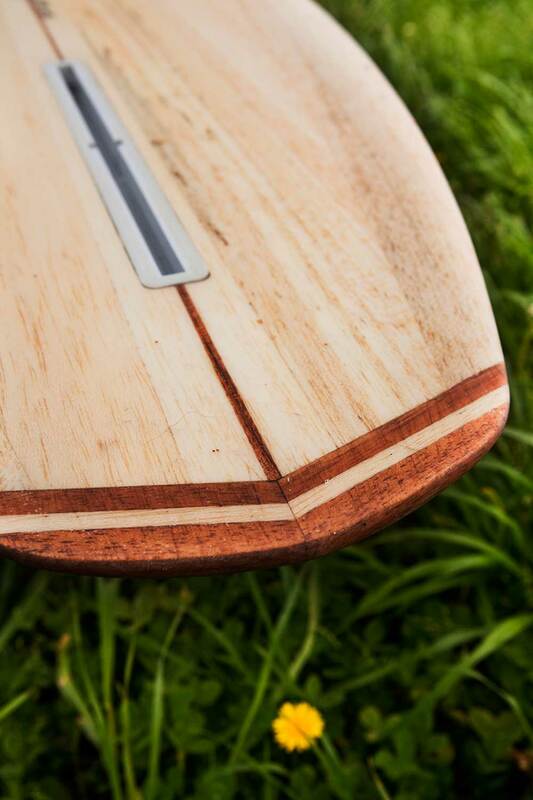 The classic shape of the 60´s combined with modern lines gives this wooden «Singlefin» a very loose surf feeling, together with control and speed, achieved by the single fin and the sharp edge on the tail. 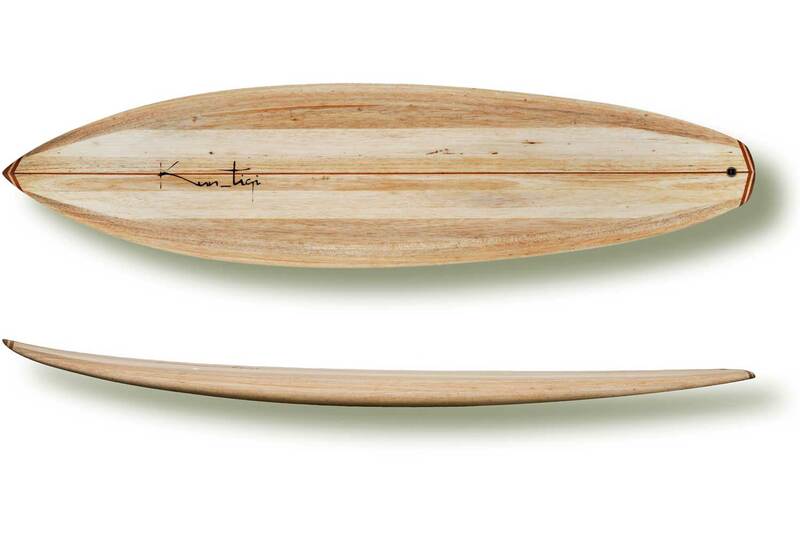 Surfing on the «70´s Singlefin» is a clean, more glide orientated surfing. 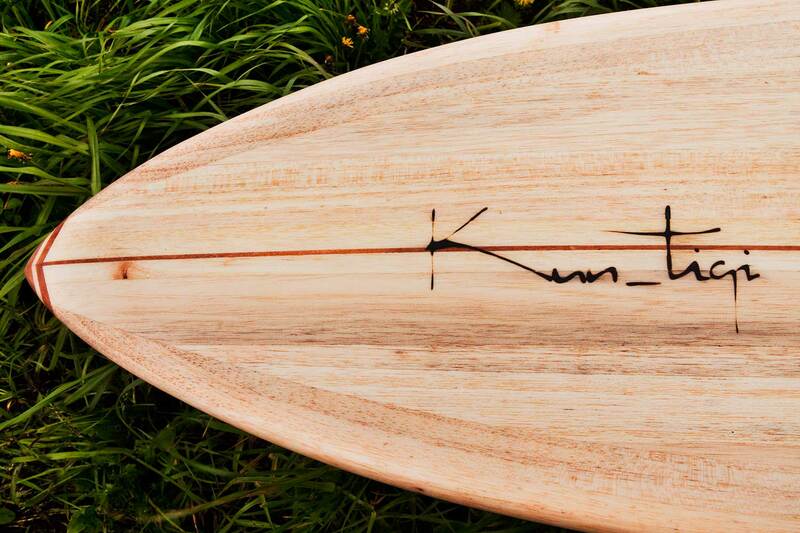 The «70´s Singlefin» performs as well in medium sized and powerless waves as it does in fast and hollow waves. Fast edge changes are made possible by the V in the bottom, which also aids improved manoeuvrability. 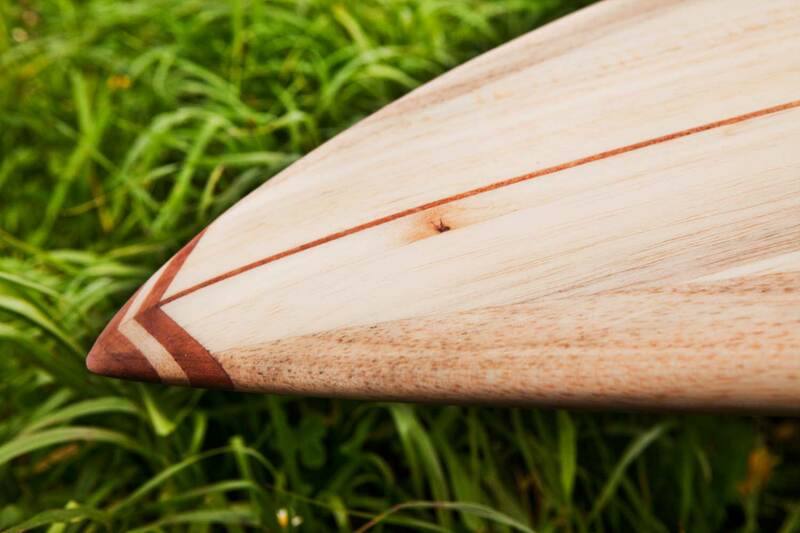 A hardwood stringer gives the board extraordinary stability. Nose and tail are also reinforced with hardwood. 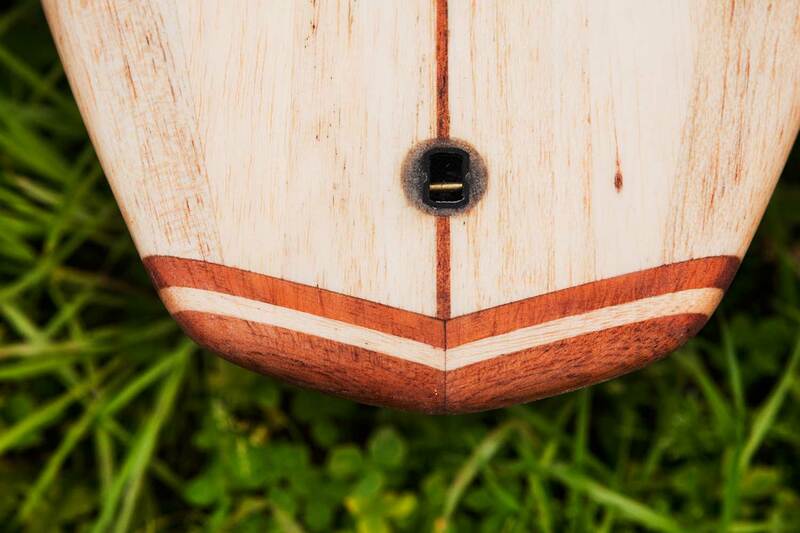 The ideal wave height for this board is 0.7 to 2 meters. 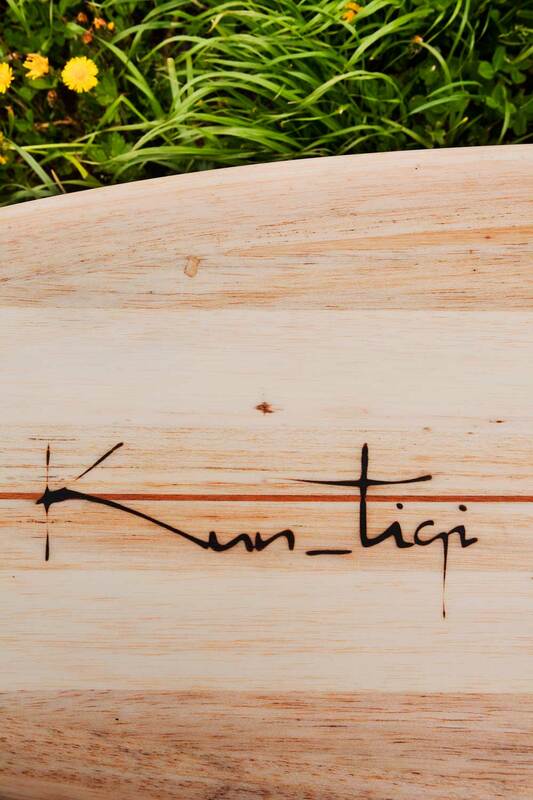 The Kun_tiqi «Singlefin» comes with a US- fin box. 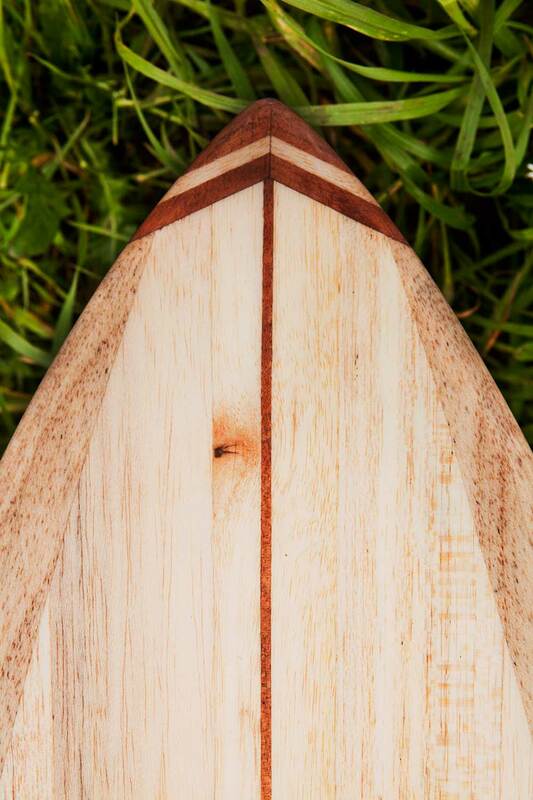 The right fin for you can be ordered on demand with the board.